When you're looking for a Ford dealership in Clinton, IN, where you'll get a true V.I.P experience, look no further than Clinton Ford! Our Clinton Ford dealership is a part of the Jackson Family of Dealerships, an auto group that's been family-owned and -operated for years. When you come to us, you'll have the benefit of working with a team that truly cares about its customers. 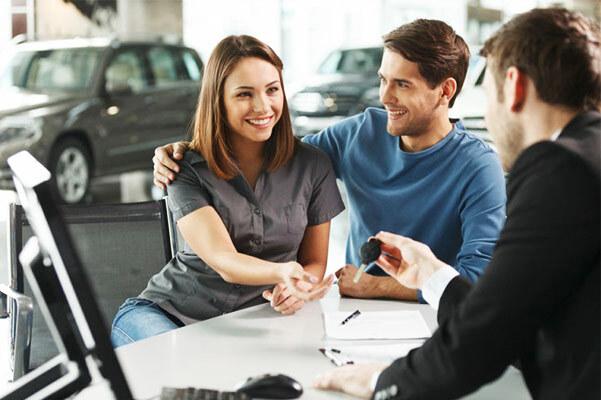 We believe that there's so much more to the car-buying experience than just selecting a vehicle and getting a car loan. Our goal is to turn each one of our customers into a customer for life, so we'll go above and beyond to provide you with Everything You're Looking for and More! Visit Clinton Ford and you'll find that our sales, service and financing teams are all completely dedicated to you. You'll start by working with our Ford sales team to find the right new or used Ford for your budget and lifestyle. Whether that's a new Ford Escape, a Ford Explorer or a Ford F-150, we'll make sure that your new vehicle checks every box on your list. Then, you'll work with our Ford finance experts to get an affordable lease or loan. Down the road when your Ford needs service, our team will take care of all its maintenance and repairs. We'll ensure that for the full life of your vehicle, you always have everything you need to drive happy. Need Another Reason to Choose Clinton Ford? As a part of the family-owned and -operated Jackson Family of Dealerships, we're involved in our community. The Jackson Family of Dealerships works hard to support those who have patronized its businesses over the years. Clinton Ford offers a host of new Ford specials that help you save on the vehicle you're interested in. From new Ford Escape SUVs to Ford F-150 trucks and Ford Focus sedans, we have a wide variety of new Ford models for you to choose from at Clinton Ford. If you want to trade in your current car to buy a Ford, you can use our Edmunds MyAppraise Trade-In tool to get an estimate for your vehicle right away. Our Ford service center is home to a team of experts who know your vehicle inside and out. Our service center is open at 8:00 a.m. Monday through Saturday for your convenience. Visit Clinton Ford today to find your next new vehicle!